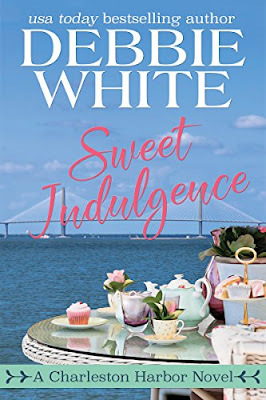 I’m so thrilled to have Ellie Crowe on my blog today. She’s an ex-South African living in Hawaii – can you believe it! And here is the cover of her latest book – a story for teenagers set in the Everglades. Four teens are lost in the Florida Everglades, a maze of canals snaking into the surrounding swampland, a wilderness with monster alligators everywhere … and not only the alligators are dangerous. The Everglades were magical—How, was Megan supposed to just sit back and not explore the place?The airboat ride out into the thick gray water-world was so beautiful, so calm—how quickly things had changed. She had begged Adam to take her and her siblings out on the boat. But where were Sydney and Luke now?Lost, like she was, of course, but hurt? Dead? It was her impulsiveness that had gotten them stranded out here and drew the poachers’ anger. She wrapped her arms more tightly about the baby orangutan in her lap. How could she live with herself if something happened to them? Would she even have the chance?The now-familiar sound of someone or something sloshing through the muck reached her ears. Who or what was coming? The orangutan bared his teeth at the unknown, and she closed her eyes. She didn’t want to know the answer.She was too injured to climb out of this hole, and calling for help could attract them. One way or another, she knew she wouldn’t be getting out of here alone. It was only a question of who would find her first. I love reading exciting, scary books set in exotic locations. Don’t you?! 1 wrote Gatorlands after visiting the Everglades with my husband and teenage son. We were walking on a boardwalk, wondering what was making the strange honking sounds. Maybe really big toads, we had decided. And then we looked down. And right below our feet, watching us with cold eyes, were massive alligators, dozens of them. This was the alligators’ world. Some even had baby toy-like alligators sitting on their heads. They didn’t care about us at all. We simply looked like possible snacks. So amazing. so scary. We visit Florida as often as we can to experience nature, right there so close, so Jurassic, so incredible. Thanks for stopping by, Ellie and all the best with your books! Before we find out more about her debut release, let’s find out more about the lady herself. Absolutely read! My go-to since I was a little girl. Depends on my mood. Some days, like when the words won’t come, I desperately need chocolate. Sea – I have been blessed to live near the see my whole life. It’s home. I used to work as a criminal court transcriptionist and a particular case I worked on sparked the idea. The story doesn’t follow the case but that’s what led to the idea for the first chapter. When Willow’s lifelong best friend is murdered, she’s left devastated. She knows she needs to pull herself together for the two little girls who are now put under her guardianship. The last thing that should be on her mind is the attraction to investigating officer Adam Dawson. From the moment Adam glances Willow’s way, he finds himself drawn to her, but she’s off limits. He needs to be professional while investigating her best friend’s murder. The murderer has no intention of stopping, throwing Willow and Adam into a maelstrom of danger and deceit. Events unfold testing not only Willow, but also Adam’s strength of character, as well as their blossoming love. Will Willow be another victim? Or can Adam save not only the girl, but their relationship as well? Thanks for having tea with me, Dorothy – I wish you every success with this one! And I hope I’ll meet you somewhere North – to see the Aurora Borealis is also on my bucket list! Please join us next week while we take Where the river bends (Tule Publishing) on a virtual book tour! 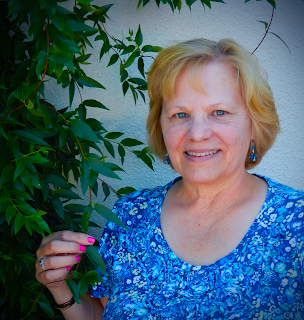 Here are the dates and blogs where we’ll be chatting – please stop by and say hi! Thanks to all the lovely bloggers who are willing to share their blogs and time to help us spread the word! Today I’m having Earl Grey tea with a fellow Tule Publishing author, the fabulous Fiona McArthur. It’s a pity we’re having this early in the day, otherwise we could’ve had some bubbly – her other favorite drink! We’re talking about her new release, Holly’s Heart, part of the Outback Brides series. But before we look at her book, let’s find out more about her! I do love my Early Grey tea to start my writing day. I use my grandmother’s teapot and watch the mist on the paddocks as I write. Of course, the perfect end to a day, has very effervescent bubbles in a flute glass. Dogs. Cats don’t like the beach and dogs go berserk there. Nothing more joyful than a dog at the beach. I adore heels, the higher, the glossier, the more extravagant the better – but to look at only. Briefs, sorry, I should say granny undies JBut they are sooo comfortable. Oh yes, white, please. With white on top and white on top of that. Thank you. Savoury – as in cheesy stuff. Nothing with mold. Anything cooked, or fresh, and with those tiny crispy biscuits and wine. I would have to say, looking at the mountains from the sea. Have you seen my farm? Or my walks on my retreats. I love, love, love, photographing both. Be warned. Likes are easy I like a lot of things – Babies, people, sunrise, sunset, Uluru – though that last one’s a real wow and is the setting in my next book after Holly’s Heart. Dislikes – that’s harder; when I forget not to judge people, when I’m running late, when I forget to put petrol in the car, when my deadline is zooming past for a book, and the rest is trivial – if it wasn’t it would be more than dislike. Visiting Egypt!!! I’m going on my birthday in November, yayyyy, by myself, because none of my children or my husband will come with me. At least I won’t have to worry if I snore. Quick Story. I called off my wedding 37 years ago to go to Egypt and missed my husband too much. We married, the kids have grown, and darn it, I’m going to see Egypt before I get too much older. Two and three? To see my children grow old – in the company of my husband. The setting is the trigger for all of the books. Wirralong is a fabulous Aussie town from four Aussie authors who have very vivid imaginations. We had the best time creating the townspeople and the Wedding Venue. I’ve so loved being a part of the Outback Brides world but did feel it needed a doctor just in case. So I gave it two. This would be because midwifery has been my life and I love medical drama and heroic medical heroes. Thanks for having tea with me Fiona – all the best with this one! And I hope this time you get to enjoy Egypt – it sounds wonderful. Today I’m having ginger tea with author Ines Batista-Yao from the Philipines. 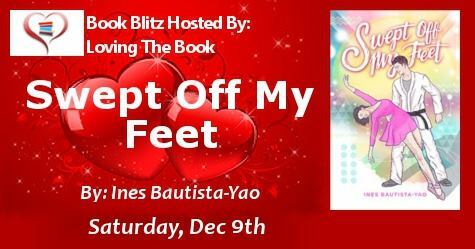 We’re talking about her latest book, Swept off my Feet as part of her Loving the Book Book-Blitz. Before we find talk about that though, I think we should get to know her better! Tea or wine? Tea! Ginger tea because it soothes my throat but recently, when it was in Taiwan, I took tea with milk and brown sugar and I loved it! Heels or flats?I used to love heels but when I had kids… well… I’ve tossed that dream out the window. Sea or mountains- It’s so hard to choose. I love them both. I was watching the ballet recital of my niece (one of many I’ve seen because I have cousins who grew up dancing ballet and they have shows every year), and I was trying really hard not to zone out. The problem was, I didn’t want to appear rude so I told myself to pay attention and not just scroll through my phone. While watching the young girls dance, bits and pieces of a story started coming to me. I quickly wrote it down. A few days (or was it weeks?) later, I was in my daughter’s school, waiting for her, and I noticed there was a martial arts class nearby and the instructors were quite good looking. The idea of a ballerina and a martial artist seemed to fit so well together! A few days later, Bas and Geri were born! Thank you so much for having tea with me, Ines! We have a lot in common, Ines – I also love unicorns amd romantic comedies! University Press anthology Friend Zones. magazines and a former high school and college English and Literature teacher. She is also a wife and mom who lives in the Philippines with her husband and two little girls. Her books are available digitally on Amazon and Buqo.ph. have to dance in this smelly studio that doubles as an aikido dojo. is as cute as my friends say. “Did you see him?” My ballet classmate Helena, whose hair was always in a perfect bun without a single strand out of place, floated over to me, pink skirts flapping up and down in her rush.